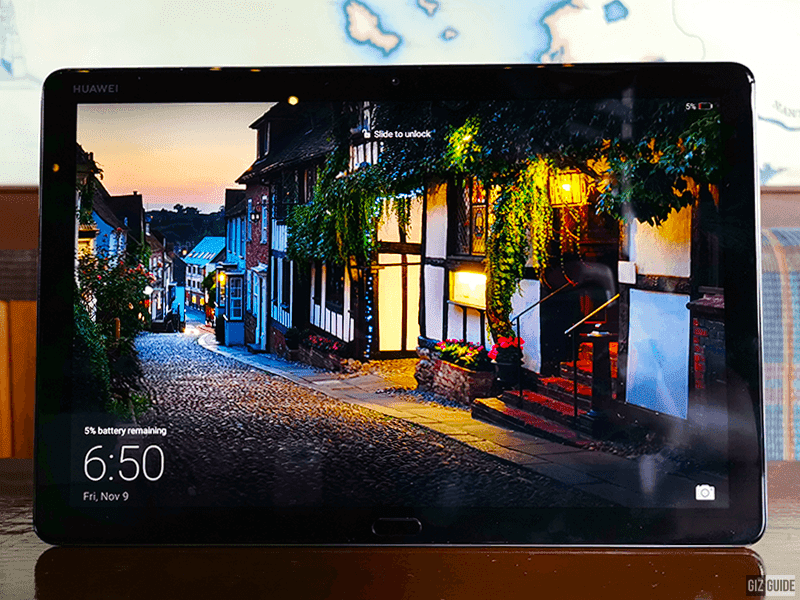 Huawei's new MediaPad M5 Lite is a tablet designed to deliver superior entertainment to users. Here are its highlights. 1. Premium design and build - The MediaPad M5 Lite is a premium feeling device due to the metal unibody design it has. It also gas a 2.5D curved glass on top of the 10.1-inch IPS display. It looks premium and it feels like you are holding a high-end device on your hand. The curves it has delivers a very sleek and minimalist look as well. 2. Great display - The 10.1-inch FHD IPS screen is perfect for your entertainment and multi-tasking needs. The picture quality is especially good for viewing movies and videos. It also has the ClariVu technology with 5 enhanced eye-comfort modes like the Optimal distance reminder, Posture Guidance and more. 3. Quad speakers - The MediaPad M5 Lite is one of the few tablets with four speakers in total. It is even tuned by Harman Kardon audio to deliver powerful and great sounding tunes. The speakers are simply designed to deliver great tunes for your content consumption. Moreover, it has four microphone holes in the middle of the two speakers. 4. Improved specs - The MediaPad M5 Lite has bigger 64GB of storage with microSD card slot option. It also has a 7,500 mAh battery which is surprisingly huge when you take note of how slim it is. 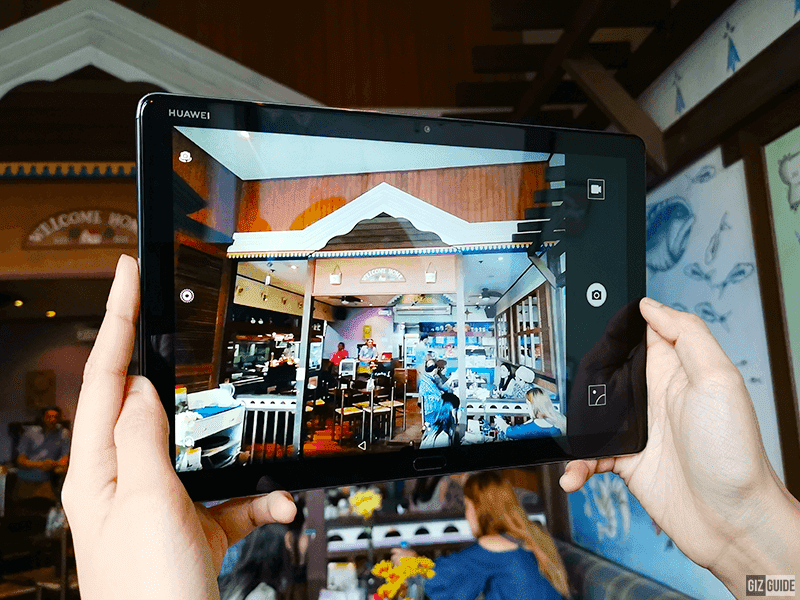 The tablet runs with Kirin 659 octa-core chip. The tablet also goes with an 8MP f/2.0 sensor both in front and at the back. It has autofocus for the rear camera while the front gas a fixed focus lens. We were actually surprised that the main camera has a lot of the features that are also present with Huawei smartphones. The camera app even has a Pro mode. 5. Features and software tricks - For a tablet, the MediaPad M5 Lite did not pull their punches in terms of features. As simple as it may sound but the inclusion of a LED notification is a welcome addition. The fingerprint scanner is really fast too. 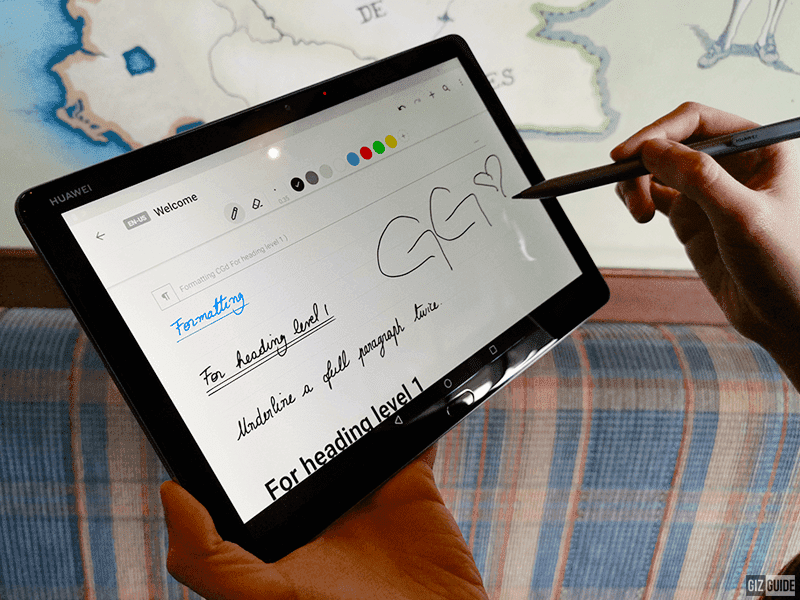 The pen included is very useful for creatives and content creators as it is quite responsive too. The MediaPad M5 Lite is only one of the few tablets to have Android 8.0 Oreo out of the box. It is also loaded with EMUI 8.0 skin that looks fairly similar to the smartphone version. You can either have an app drawer or not. The pre-installed apps are there but can be easily uninstalled. The experience is snappy and it is fun to navigate and use. For PHP 18,990, we believe that the MediaPad M5 Lite is an amazing multimedia device that focuses on immersion both visually and through audio. The combo of great screen, quad speakers, and huge battery can bring a lot to the table.